What Should You Do if Your Loved-One Experiences an Exercise Injury? - All Care Hawaii. LLC. What Should You Do if Your Loved-One Experiences an Exercise Injury? Mild injuries are a part of having an exercise routine, but that doesn’t mean that it’s not scary when your aging family member injures herself. If that’s the case, you need to know what to do for your senior if she does injure herself while exercising. The first thing to do when your elderly family member experiences an exercise injury is to contact her doctor right away. 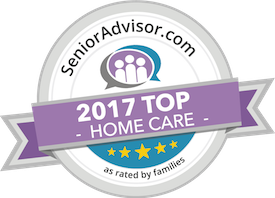 This lets you know whether this is something that you can help your senior to treat at home or if it’s something that requires a little more attention in her doctor’s office. Of course, if the injury is definitely severe, you’ll need to go to an urgent care or the hospital. The RICE method is an easy way to treat minor injuries at home once your loved-one’s doctor determines that this is the best course of action. This method of treatment starts out with Resting the injury as much as possible. Ice can help next, but avoid keeping ice in place for longer than 20 or so minutes at a time. Compression can help if there is swelling, as can Elevating the injured area. Your aging family member may need to ease away from her exercise plan for a little while after her injury. She may find that it’s difficult to rest, especially if she’s enjoying her exercise routine. But resting gives her body a chance to heal and she’ll be that much better able to exercise when she starts back at it again. She may find some light exercises she can do while resting, or even ask her doctor if water exercises may be okay since this is low impact. Above all, don’t start believing that a minor injury means that your senior can’t exercise now. If you’re truly concerned, make the time to go to her doctor for a medical opinion on the matter. Exercise is still good for your aging family member, but she’ll want to be careful to avoid injury in the future. Be sure to let other people who help your aging parent, such as senior care providers and other family members, know what to do if your senior injures herself while exercising and you’re not around. Have questions about home health care in Honolulu, HI? Contact the caring staff at All Care Hawaii today. Call us 24 hours a day, 7 days a week!